Book a FREE class or Contact me for information! 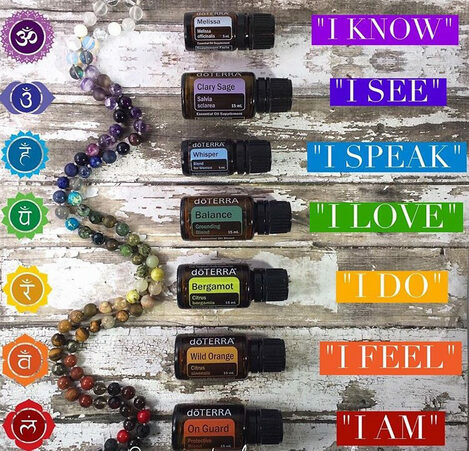 Using Essential Oils and Crystals To Heal and Cleanse Your Chakras! 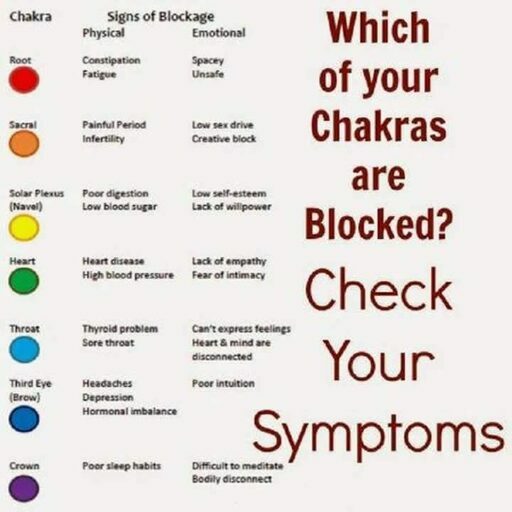 Thankfully, there are many ways to cleanse and revitalize your chakras. One of the easiest and most efficient ways to do this is by using crystals and oils. Crystals affect our chakras by lifting their vibration, clearing them, and causing them to “spin” at an optimal rate. Crystals possess some of the highest vibrational frequencies on earth, and simply being around crystals and setting your intention to attune to their vibration can have a profound effect on your health and wellbeing. Plus, each crystal has its own unique energetic properties, and can therefore be used strategically to enhance sluggishness or subdue overactivity in the chakras. In this article, I am going to show you how to perform a crystal healing session for your chakras. Of course, you can use this template for your clients, or your family and friends as well! Remember, that when it comes to crystal healing, you can get as fancy as you like, but don’t confuse fanciness with effectiveness. The method I am going to present to you is a basic template, from which you can add on with other crystals, or healing modalities (such as aromatherapy, massage, etc). In a pinch, clear quartz is a great substitute for any stone because it contains all of the colours within it, and it’s a fantastic energetic amplifier and master healer. And yes, even if that means the majority of your stones are clear quartz, that will perfectly if that’s all you’ve got! Don’t be afraid to get creative and to listen to your intuition. The stones I’ve presented are simply examples; there are many, many other stones out there that you could use just as effectively. Ideally, you would place the crystal on and around your body, corresponding to the chakra it is going to balance. You may also wish to place some crystals in the palms of your hands, such as clear quartz. Much energy enters and leaves your body through your palms, and if you’re a Reiki or energetic healing practitioner, your palms would LOVE the crystal tune-up! Your hands (and throat) are also major manifestors, which is why writing out your goals is so effective to bringing them to fruition. Also, please don’t stress about placing the crystal in the “perfect” spot. Your chakras are large wheels of energy, and your intention is what ultimately causes the crystal to do its healing work. You cannot do this wrong! Bring yourself into a “savasana” state by taking some deep breaths (in through the nose and out through the mouth) to begin. Then, if possible, continuing to breathe deeply in and out through the nose. If you will be placing the crystals on yourself, allow yourself to calm down first; you don’t want to feel rushed or clumsy through the process. Don’t worry if the crystals “move” or fall off. Again, you cannot do this wrong! What If a Crystal Falls Off? If it falls off yourself, you can choose to either replace it or leave it; if you leave it, it doesn’t meant that the healing is going to “stop”, because energetic healing crosses all boundaries of time and space. Just do what suits you at the time. If it falls off your client, you can simply replace it. If it falls off again despite your efforts, then leave it – trust the process, the energy knows what it is doing. Your crystal healing session can last as long as you like. 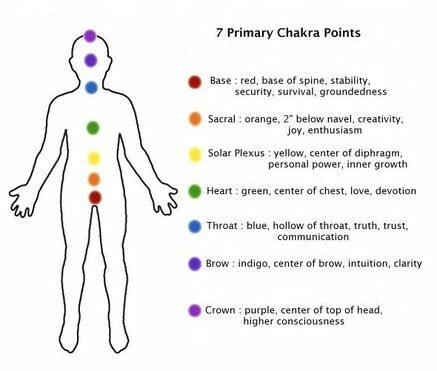 Whether you have 5 or 20 minutes, your chakras will be balanced and rejuvenated after your crystal therapy. Don’t force yourself to stay longer than you can manage, as this will only create stress; however, do allow yourself the time and luxury of maintaining a state of deep relaxation and to soak up the healing energy of the crystals. Be sure to cleanse your crystals before and after the healing session. You can do this simply by running them under cool tap water, or by passing them through incense smoke or sage smoke (also known as smudging). Doing a crystal chakra healing session is an essential skill for all energy healing practitioners, and for anybody who wishes to have optimal health. It’s simple, easy, and will address any issue you’re dealing with. 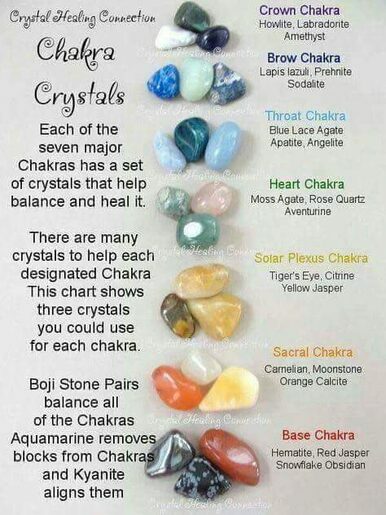 Regularly balancing your chakras with crystals is a wonderful healing practice, and will definitely enhance your life. Give it a try! Lemon Essential Oil and Its Many Benefits!